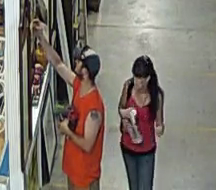 A pair of thieves in Asheville, NC made off with $3000 worth of comic books. There is a reward for information leading to their capture. Julian Lytle has posted audio of the "African-American Independent Comic Publishing Panel" from Comic-Con International. The National Gallery of Art has posted video of Nick Sousanis talking about his Eisner-nominated book, Unflattening.